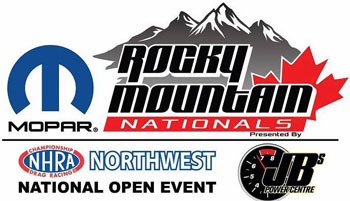 ROCKY MOUNTAIN NATIONALS: The largest Drag Racing event in Canada-The Rocky Mountain Nationals plays host annually to thousands of Fans over 3 days with the signature Night of Fire featuring Jet Cars and professional race competitors from throughout the United States and Canada. Not only does the Rocky Mountain Nationals give us a great big ball of Jet fire, it showcases the best of the best of North America’s extreme motorsports. 300MPH Top Fuel Dragsters, Nitro Funny Cars, Alcohol Funny Cars, ProMods, and 200MPH Top Fuel Harleys are just the tip of the iceberg for this fan favorite event. The Nitro Jam event in Edmonton the largest drag race held in Canada. In the official proclamation, Mayor Mandel describes what a positive impact it is to have fans and drivers from all corners of the country in attendance at the Edmonton facility and what it means to have such a high-caliber motorsports event come to the city year after year.